Skipper’s not ‘Bord-er’ his new collar! After purchasing his new collar from the Country Living Kitchen Table Talent market, Skipper has been ‘star’ of the show in the Lauchlan household. 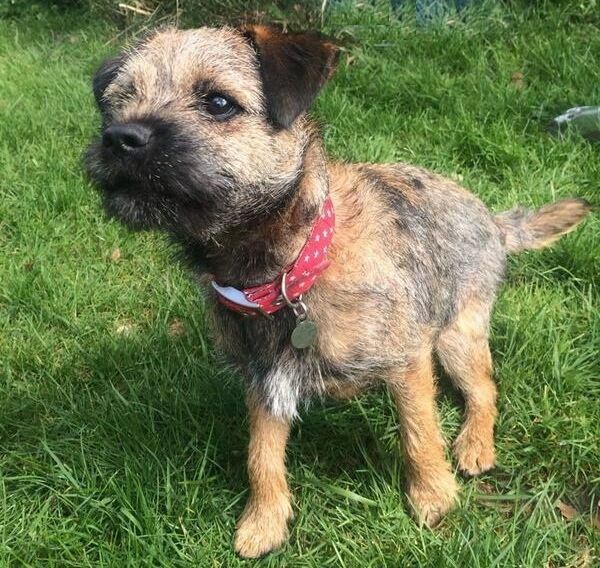 Say hello to Skipper the naughty nine month old Border Terrier. Favourite Treat: As a growing chap, Skipper likes to supplement his own food by regularly helping himself to the cat’s dinner, as well as any cheese he can get his paws on. Best holiday destination: Being a Border Terrier, Skipper is drawn to anywhere north of the border. He particularly likes to visit his Grandpa Lauchlan, a butcher, whose house always has some tasty meaty treats to be sampled.